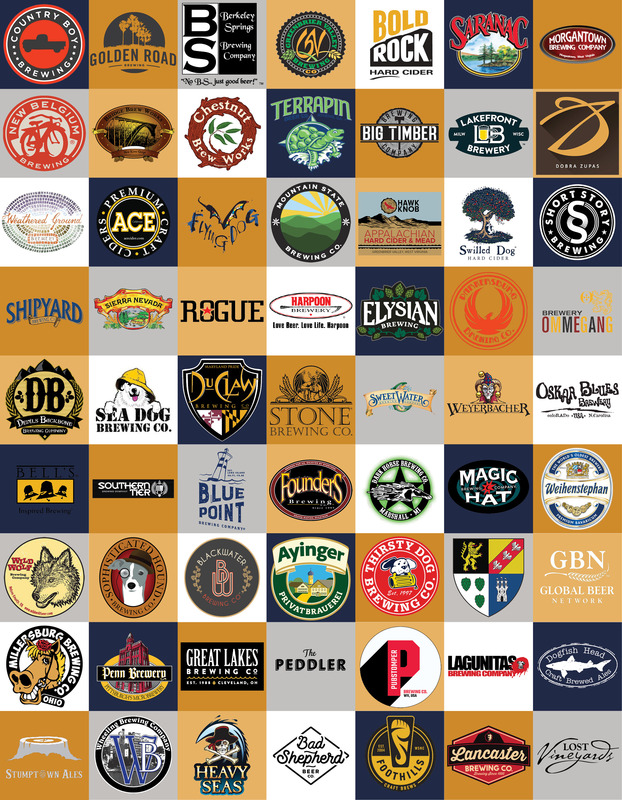 Over 70 breweries, 200 beers, 9 restaurant vendors, and 20 artisans. Raise a glass to urban development at Foam at the Dome 2019. 100% of your ticket purchase goes directly toward urban development efforts. In its first three years, Foam at the Dome has raised over $110,000 for East End and West Side revitalization. The event continues to grow, attracting over 2,500 people in 2018 and expects an even larger crowd in 2019. Join us on Saturday, May 11 at 3 PM, right after the largest neighborhood-wide yard sale east of the Mississippi River (the East End Yard Sale), for Foam at the Dome – Craft Beer, Live Music, and Local Artisans & Eateries. *Designated Driver tickets are available for $20 per ticket also. DD tickets include access to live music, food and artisan vendors, and free water. Where is Foam at the Dome located? 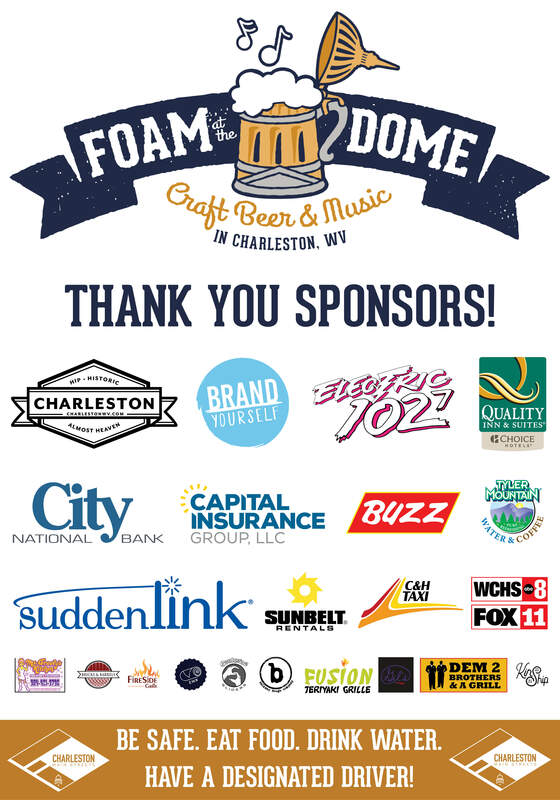 Foam at the Dome 2018 will be located between Greenbrier St. and California Ave. on Kanawha Boulevard in front of the State Capitol. What can I bring inside the parameter? No outside food and drinks will be allowed. Weapons, canopies, campaign items, growlers or any glass will not be permitted. Please note there will be a bag check at registration before entering the event. Blankets and chairs are permitted; however, we have had such an overwhelming response from brewers, vendors, and ticket buyers that space is limited. Can I sit on the Capitol lawn? Absolutely no alcohol is allowed on Capitol grounds. If you wish to sit on the lawn, you cannot bring alcohol or chairs with you. Please bring cash with you to the event. You will need cash to purchase food, any artisanal wares, or Foam at the Dome merchandise. Some vendors will take credit/debit cards on site, but we can’t guarantee all will offer this option. Remember to bring your tickets and an acceptable photo I.D. (diver’s license, passport, military I.D.). Feel free to bring chairs if you would like to sit during the event. Smoking is prohibited at Foam at the Dome. A designated smoking section will be assigned and anyone smoking can ONLY smoke within that section. Parking is available throughout the East End on Quarrier, Virginia, and Lee St. Additional parking is available on the back side of the Capitol near California Ave.
How can I get home safely? Remember to pace yourself throughout the event. Eat food, drink water, and have a designated driver pick you up at a predetermined time. Call C&H Taxi at 304.344.4902 to schedule a ride. We recommend scheduling your taxi ride well in advance to avoid a long wait time. What about my designated driver? We are now offering a designated driver ticket. Those who purchase the Designated Driver ticket will be able to enter at 3 PM with Early Entry. We strongly urge you to either attend event with a designated driver or set up pick up and drop off time for a designated driver. General admission covers access to the event, a 5 oz. Foam at the Dome sampling mug, access to live music and food vendors, and 5 oz. samples of craft beer. Entry admission grants you access to the event an hour early at 3 PM, first access to exclusive one-off craft beers, access to the Early Entry express line for two food vendors, and all general admission perks. Everyone is subjected to a bag check upon entry. All attendees are expected to remain within the parameters of Kanawha Blvd., marked accordingly. Smoking is NOT permitted, except for the designated smoking area. Every participant must sign a legal waver upon entry. No attendee will be served without a wristband. Foam at the Dome is a 21 and over event. If an official Foam at the Dome volunteer has deemed that you have been over-served, you will no longer be able to drink alcohol at the event. The ONLY container to be filled with beer is your 5 oz. sampling mug. Gates open at 3:00 PM for Early Entry tickets and 4:00 PM for General Admission ticket holders. We will begin scanning tickets at 2:30 for Early Entry and 3:30 for General Admission. Foam at the Dome is in May, so expect weather in the 70s or 80s. Shelter is limited. We recommend lightweight clothing and light colors. If I am a political candidate, can I set up at the event? Foam at the Dome is ran by a nonprofit, and due to an effort to keep politics out of the event, booths are not rented to any political candidate. Foam at the Dome is a 21 and over event. Only young children and toddlers (ages five and under) will be permitted. You must keep you child in a stroller or baby bag at all times if you do choose to bring them. Because the crowd will be large, it is suggested that you do not bring your child. Can I sell my ticket or get a refund if I can’t get go? All tickets are nontransferable and nonrefundable. Interested in becoming a Sponsor or Vendor? Get in touch! Interested in becoming a Volunteer? Sign up now!